From the mechanic and training officer to the manager in anyone of our six branches – we love to explore not only the untouched wilderness but the inside of an engine or undercarriage of a tracked carrier. It’s our job to keep you on track in the middle of nowhere but it’s not just a job – it’s our life’s work! We love to tear an engine apart and solve the problem, plan for the unexpected and be you’re on call resource to navigate well beyond where the road ends. No matter where you are anyone of our team can help – just give us a call! Reinhart undoubtedly sets the tone for the entire organization. 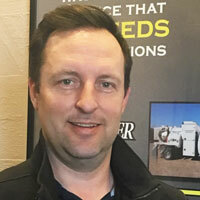 As the CEO of Pioneer, Reinhart has a proven track record of managing high growth organisations – instrumental in building a 33 branch Cat Rental Store operation from scratch - the Pioneer team has grown significantly during his tenure. But Reinhart is more than numbers, operations and investment. Reinhart has a unique way of encouraging confidence in those around him. He seeks opinion from his team, listens and has built a culture of high performers through his positive and focused approach. Customers instantly engage and recognize that he is listening, adapting and growing the customer experience to meet the demands of today’s dynamic environment. Most of all, it is readily apparent that Reinhart enjoys life! A Pioneer original! 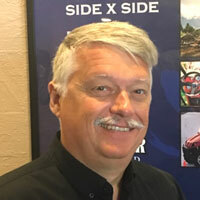 One of the first employees of the organisation in 2006, Gene has helped guide the culture and growth of the team into new products and new markets. For Gene, it’s about horsepower - motors – undercarriage – accessories – and ultimate performance! He loves to tinker on vehicles in his spare time! Starting his career as a shop floor tradesman, auto body technician, and as an owner/operator of a truck accessory business Gene eventually became the General Manager of a Motorsports Dealership in Fort McMurray. Today, as VP of Operations, Gene believes in his team – guiding them through new products and into new territories - supporting each of them as they help customers explore the unknown and travel the road to nowhere. Top gear customer support – in the freezing cold, the muddiest of bogs, or on the road towards the ultimate destination – Gene inspires the team’s excellent customer service reputation developed at Pioneer. 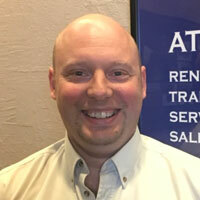 Matt led our Edmonton operations for years; today he supports all branches as the Director of Marketing & Business Development – in his words to provide “epic customer service”. Once you meet Matt you’ll see that he lives up to that claim! He’s a leader… guiding and solving problems with a unique understanding of what our customers need most – unbridled enthusiastic support! 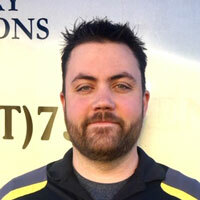 Outside of the office, Matt is committed to leadership and team building through his passion coaching minor hockey. Matt is happily married to a patient (without a doubt patient) and loving wife, Tina Metcalf of five years and together they have 3 small beautiful children. Jason is a true outdoorsman, it’s his hobby! 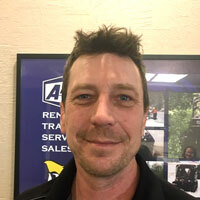 Born and raised in Athabasca, Jason has a commitment to the community – it’s home - and he has built a reputation of providing customer service excellence 24 hours a day. After 20 years in the oilfield, on the drilling rig and in the field as a gas plant operator, Jason knows the area’s terrain and is a great resource of information no matter what road you venture down… even when no road exists. Jason’s experience in the rugged backwoods of Alberta and B.C. is founded in the real world… maintaining a variety of off road equipment on the job was necessary as the only mode of transportation in the remote areas surrounding the region. As a lifelong resident, Jason also became aware of the environmental impact of driving off road equipment in delicate forest areas and how important it is to maintaining the environment in his own backyard. Jake is a 25 year resident of Bonnyville and on the weekend you may just find him strumming a guitar and picking a song or two at the local pub! But during the week Jake puts his red seal mechanical education to work at Pioneer and the newest addition – The Trailer Shop! Jake is one of guys that everyone becomes friends with right away! Probably because of his positive attitude but more than likely it’s also because he knows his way around an engine – he owned a local small engine repair shop for years and most of Bonnyville knows him by name. Not to mention his volunteer work is a testament to his commitment in the community with active work at Bonnylodge Seniors Home, St. Johns United Church, Royal Canadian Legion and others. After years in the service business at X Power & Performance (ATV/Small Engine Sales and Service), The Cat Rental Store (Rental), Greschner Pontiac Buick GM (Automotive), Tercier Chev Olds (Automotive) Jake knows what it takes to keep you on the road and off the road! If you need support or have a challenging problem Jake is more than likely the guy to solve it, or he knows a local person who can! Born and raised in Edmonton Tyson grew up in a family where tinkering with classic cars and off-road equipment were a way life, it was only natural that his mechanical passion was ignited at a very young age. 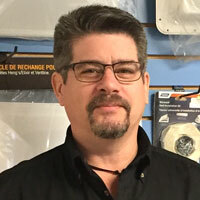 By the age of 22 he graduated from NAIT with his Automotive Journeymen Red Seal ticket while working in an automotive shop as the shop manager. Tyson then moved into the oil gas industry as a service truck technician working on all types of equipment from small engines to heavy machinery. 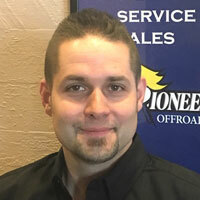 Tyson joined the Pioneer Offroad family as a service technician in 2011, he progressed into the role of customer service representative looking after the shop and then further advanced his career with his current role as the Edmonton Operations Manager. Tyson's dedication to his customers is evident, he and his team are available 24/7 and cater to all their equipment needs. Tyson is motivated, organized and confidently leads his team with a firm belief that quality work paired with outstanding customer service and integrity is of upmost importance in ensuring the success and sustainability of our business. More than the leader of our sanitary division, Kelly is our logistics man! With a background from FedEx, Kelly knows how important it is to deliver on time every time. Now leading our sanitary division, Kelly spent 7 years with Pioneer guiding customer requests and making sure they have the machinery they need - when they need it. Kelly’s background in high performance service teams brings a new commitment to building our sanitary division - full service, professional and ready for any weather Mother Nature throws your way! With an advanced fleet of sanitary units – executive style units ready for any weather because of the unique characteristics of the fleet construction – you can count on Kelly to bring a new level of support and comfort to the job site or event. Troy may be new to Pioneer, but he has a long 12 year history in the region supporting work teams while at Finning and SMS equipment – he knows how important the Oilsands are to this country and how challenging the region can be on equipment. As Troy builds the business and support team in Fort McMurray, you can count on his background to understand the challenges that lie ahead for you and the expedition into Alberta’s Northeastern territories. Troy’s experience has a foundation in process, safety and delivery so count on him to support every aspect of your adventure – he knows the region, the terrain and the operating environment demands of Fort McMurray. 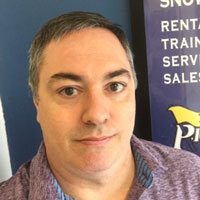 Brandon started with Pioneer back in December 2014, as a Service Truck Operator.Today you can find him in the Operation Management chair in our Fort St. John branch. 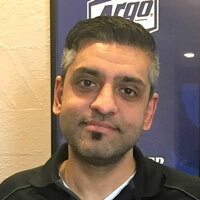 Brandon brings authenticity, leadership and loyalty to Pioneer, with an on-going objective to ensure that efficiency and accuracy of all day to day operations run better than ever. With over 16 years’ experience in hard manual labour jobs, Brandon isn’t afraid to get his hands dirty. He value’s hard work, dedication, and loyalty - above all else. His time management and leadership skills ensure that Pioneer will continue to run like a well oiled machine. The reason he gets up in the morning – Besides a good cup of coffee, the chance to add value… that’s a big thing that gets him up in the morning. Away from the office, Brandon is devoted to volunteering at the local ice rink. 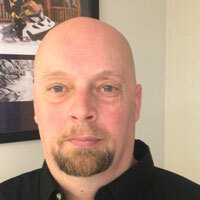 He sits on the board of the Taylor Minor Hockey Association as Vice President, along with coaching his daughter’s team. Brandon has been happily married for seven years to Carissa Roy, together they share three wonderful kids and a family focus on the business with Carissa a key part of the Fort St. John management team. The Roy’s spend their quality time outdoors, playing pond hockey, ice fishing and camping. They understand the region and the terrain challenges presented everyday. 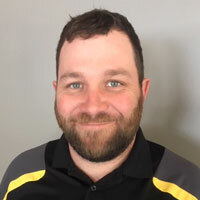 Brian is definitely one of those “go to guys”, the one who can solve the problem, guide you through the right equipment to use based on where you are headed and connect you with the right resource if it’s outside of the Pioneer offering. Over Brian’s career he has built practical knowledge in exploration related industries – from a roughneck on the rigs to building a substantial downhole tool division at Packers Plus, operating service rigs and over the last 10 years building a significant operation in Grand Prairie and the north for Pioneer. With a masters in “common sense”, Brian gets it! Solving problems, striving for great service and support whenever and wherever needed! Born in Hay River, Northwest Territories, Brian has an excellent understanding of Canada’s North and you can rely on his expertise as you strike a path to almost anywhere. You would never know it, but Duane is a grandfather! He most certainly does not look the part but that grandkid is his pride and joy and family is so important and here is why! Duane is a military man, not a desk jockey, but one of those amazing people that have laid their life on the line for us as Canadians – the kind of person our whole country is proud of! Over the last 6 years he has built the training division at Pioneer with meticulous detail. He gets it – there is no one more qualified to help train your team than Duane Wallis. His experience in war torn countries parlays into an amazing support team of other military vets who can bring safety, training, support and now operated services to your next adventure. It’s usually too much information to share a detailed resume – but in Duane’s case it’s truly amazing to see his journey and watch how he has applied it to the training team and his students! Duane joined the Canadian Forces at the age of 17. Gained promotions through the ranks to the rank of Warrant Officer, and retired in 2013 prior to joining Pioneer, with a track record of exploring the unknown, coming prepared for the unexpected and an understanding of critical safety procedures. -Instructor at Canadian Forces Armoured School. Silver medal in NATOs premier 8 man Reconnaissance dismounted patrol competition known as Cambrian Patrol held in Wales United Kingdom. Competed against 110 other 8 man patrols from all NATO countries. Duane earned 5 commendations for various actions while serving 5 deployments in Bosnia, Kosovo, and Afghanistan. We know Duane can help your team come prepared no matter what lies on the road – or goat trail – ahead! Ajit Gill, was born and raised in Winnipeg, Manitoba – so it’s a given he is no stranger to cold weather. From an early age he was always thinking business as he was exposed to the ‘business side of life’ through his father, an entrepreneur at heart, whose portfolio focused on real estate, automotive, and the transportation industry. Ajit knows how to cut through the red tape and make things happen. In 2013 as the Oil industry was hot, opportunities were plentiful. After interviewing with numerous companies he was presented with an opportunity for an up and coming Rental Company called Pioneer Oilfield Rentals. Sitting in the first interview Ajit instantly realized this is where he wanted to land – the unique culture was readily apparent. As the controller of the company, his time has been balanced with accounting, finance as well as managerial decision making. In addition, Ajit has supported a handful of acquisitions and transitioned them into the Pioneer culture, researched and implemented new Rental Software into the company/all branches, and works hand in hand with partners as well as the operations managers to ensure all locations are running as efficiently as possible. Although Ajit is a Winnipeg Jets fan – with the team logo bumper sticker to prove it – we still like him and know you will too! 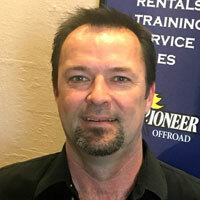 Pioneer Offroad Rentals & Trailers is a great place to work! Just ask anyone on of our team across our six branches in Alberta and B.C. Our office is the great outdoors and the bush, swamp, rocks, and snow. They are the best part of the job and we love what we do! If you want to join in on the fun just give us a call, email a summary of your passion for quads, snowmobiles, trailers, and anything offroad– you never know – you could end up with a career as a Pioneer!